Splash-And-Flash Protection For Petrochemical Environments. Frontline® 300 is ideal for petro-chemical line break situations. 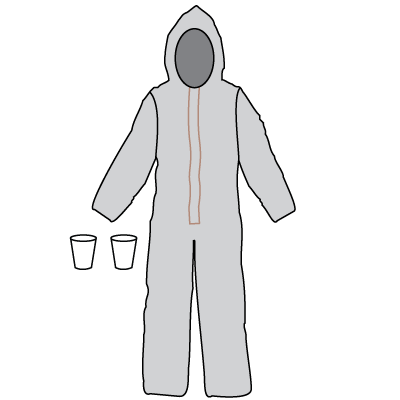 This innovative garment was developed with detailed input from petrochemical Safety Officers. It offers excellent radiant heat protection. And with comparable protection to Kappler's Zytron® 300 chemical apparel, Frontline 300 provides excellent holdout for the most common petrochemical hazards. The ensemble garment design with hood, jacket and bib pants provides excellent flexibility. 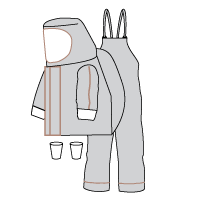 The hood and jacket can be removed when not in the hot zone, thereby allowing the individual to ventilate. As with all Kappler apparel, this ensemble is a multi-use, single exposure garment. Ideal for petrochemical line break operations – developed with input from petrochemical safety officers. Proven with demanding Pyroman Thermal Manikin testing. Coverall and ensemble styles offer flexibility for a wide variety of work situations. Reinforced knee area for added confidence and work flexibility. Typical Applications: Petrochemical operations, line maintenance, tank cleaning, refueling situations. Coverall with Special Design Hood Opening for better fit against Respirator and Visor, LongNeck™ design with Extended Zipper Closure, Double Storm Flaps with FR Hook and Loop Fasteners, Glove Cone Inserts. Coverall with Special Design Hood Opening for better fit against Respirator, LongNeck™ design with Extended Zipper Closure, Double Storm Flaps with FR Hook and Loop Fasteners, Glove Cone Inserts. Attached Sock Booties with Splash Guards. Jacket with Zipper Front, Double Storm Flaps with FR Hook and Loop Fasteners, Glove Cone Inserts. Bib Trouser with Adjustable Webbing Straps and Snap-Lock Fasteners. Hood with Flat Back and FR Hook and Loop Fasteners and 40 mil PVC Visor. Half-C Jacket with Expanded Back and Front Zipper, Double Storm Flaps with FR Hook and Loop Fasteners, 40 mil PVC Visor, Glove Cone Inserts. Frontline 300 has been tested for thermal protective performance (TPP) in accordance with ISO 17492, Clothing for Protection Against Heat and Flame, and showed a TPP value of 16. Frontline 300 meets the requirements for flame resistance in accordance with ASTM F1358. 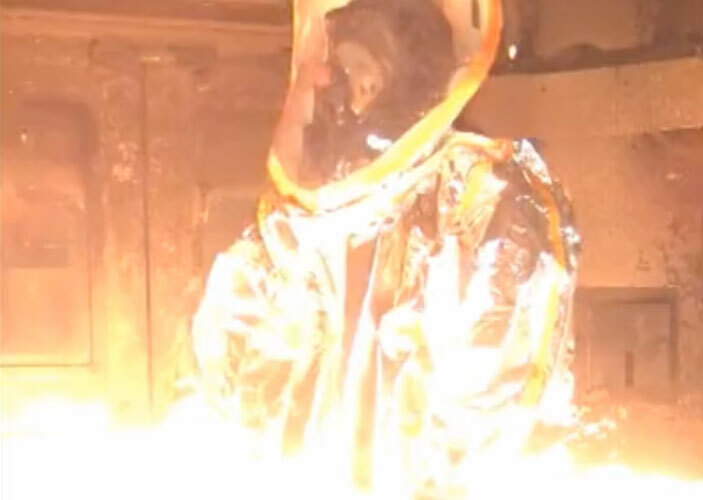 Frontline 300 has been tested in accordance with ASTM F 1930-00 Standard Test Method for Evaluation of Flame Resistant Clothing for Protection Against Flash Fire Simulations Using an Instrumented Manikin. 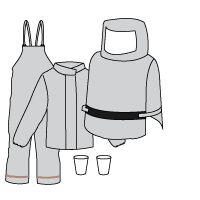 The Frontline 300 ensemble garment indicated less than 1% body burn after a three-second burn test. *Industrial chemical testing was conducted in accordance with ASTM F 739 with normalized breakthrough times reported in minutes. 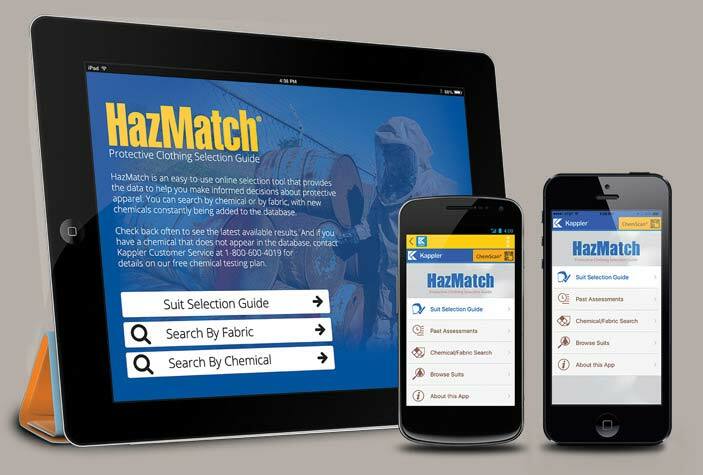 For detailed technical data and physical properties visit HazMatch. Need to see all the chemicals tested against the Frontline 300 Fabric?